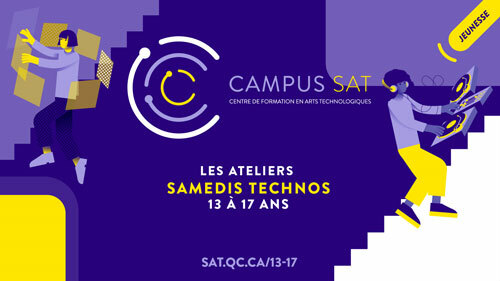 Created in 2006 at the heart of the Society for Arts and Technology (SAT), Campus SAT offers an educational model at the crossroads between science, technology, society, and art. This branch of the organization allows the transfer of knowledge coming out of the SAT’s artistic activities and lines of research. 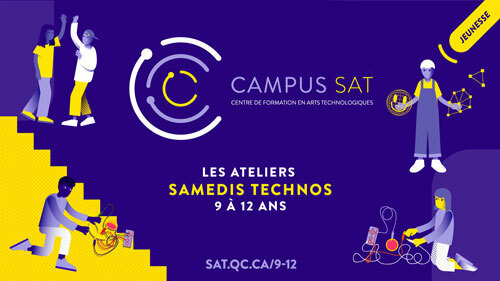 By offering night classes and educational activities for adults, as well as a pedagogical program adapted for youths ages 9 to 17 in its spaces and in the school, municipal, community, and cultural networks, Campus SAT reaches over 8000 participants every year. Over time, artists have learned to appropriate technology to share their reflections on their time. 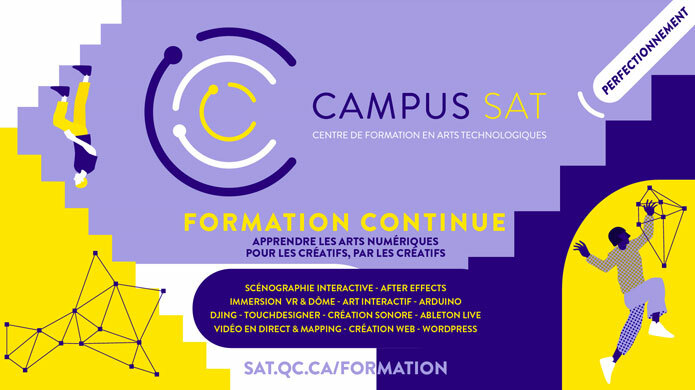 Campus SAT supports artists (big and small) of all fields in their use of today’s technologies, in order to allow the greatest diversity possible of voices to express themselves in the digital discourse. Its activities encourage everyone to innovate, both on a technological level, as well as outdoing oneself artistically.